We describe the Great Egret with one word: Elegance. These tall, white beauties are the embodiment of sophistication, so much so that they were nearly hunted into extinction in the late 1800s for their snow-white plumes. But conservationists took action just in time to save the graceful water waders. Keep an eye out in Hollister and Paicines to see the Great Egret in its marshy home. We all know the familiar chirp of songbirds in the morning. You may even be able to identify a species or two based on their repetitive songs. 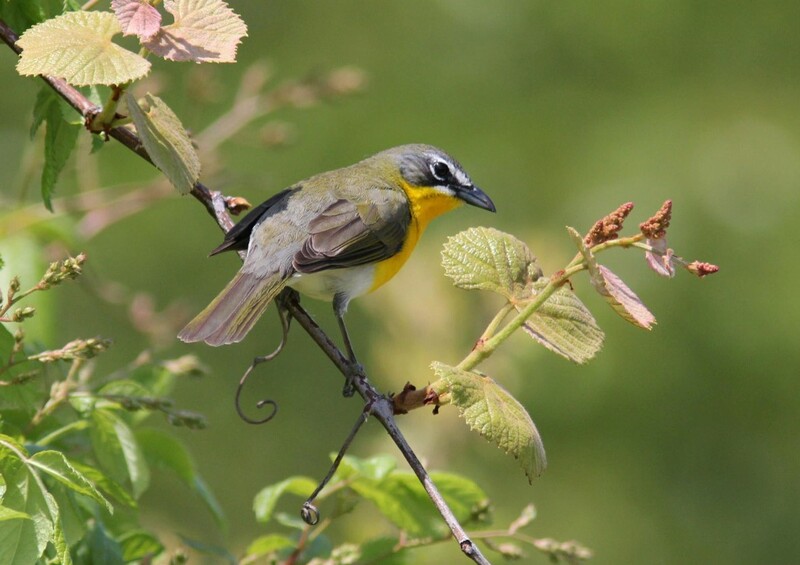 But the Yellow-breasted Chat will throw you for a loop. When the males of these large warblers burst into song, they sound like a beatboxer laying down a hot track, spitting cackles, whistles, gurgles and pops to attract a flirty mate. Explore the dense thickets of San Benito County in early spring to hear these peculiar songbirds for yourself. 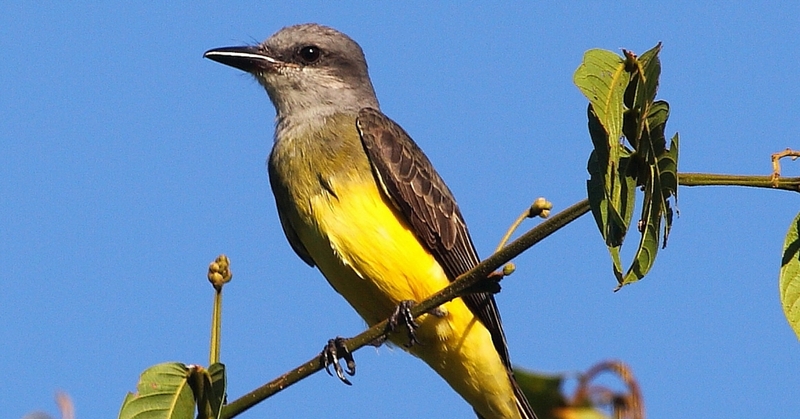 Catching a glimpse of the little yellow-bellied Tropical Kingbird takes practice. These warm-weather creatures love their homes in Central and South America, so it’s always a treat when they venture up north to San Benito County for a visit. You’ll recognize them by their expert insect-catching skills and twittery “pip-pip-pip” call. What do the California Condor and Illinois-native Robert Wadlow have in common? Wingspan. At 8 feet, 11 inches tall, Robert Wadlow is the tallest man who ever lived, according to Guinness World Records. And that means his arm span matched his height approximately, fingertip to fingertip. 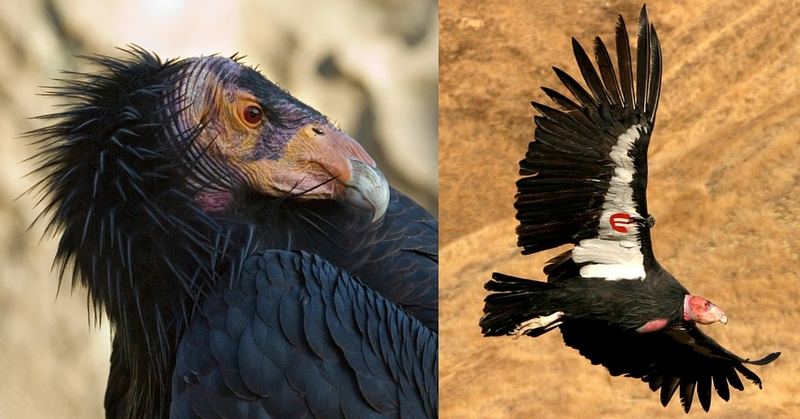 But California Condors, which nest and soar in Pinnacles National Park, beat Wadlow by a few inches with a staggering wingspan of 9 feet, 5 inches. You can visit these magnificently huge carrion-eaters at the ‪Pinnacles‬ year-round. Even ladies of the animal kingdom make fashion statements to set them apart. 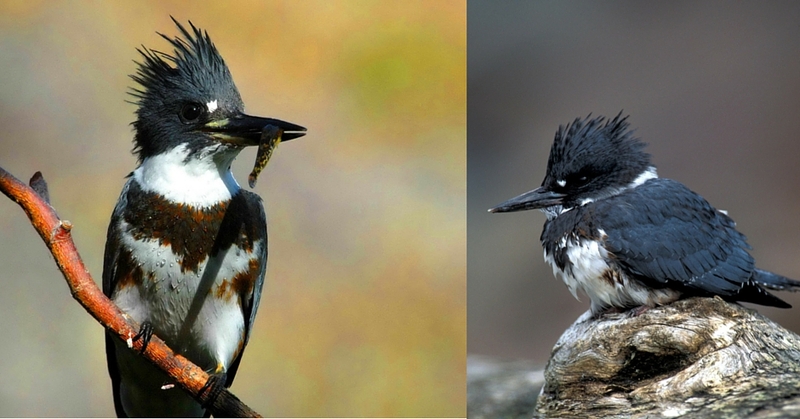 The Belted Kingfisher gets its name from the broad, copper-colored band spread across the female’s chest. 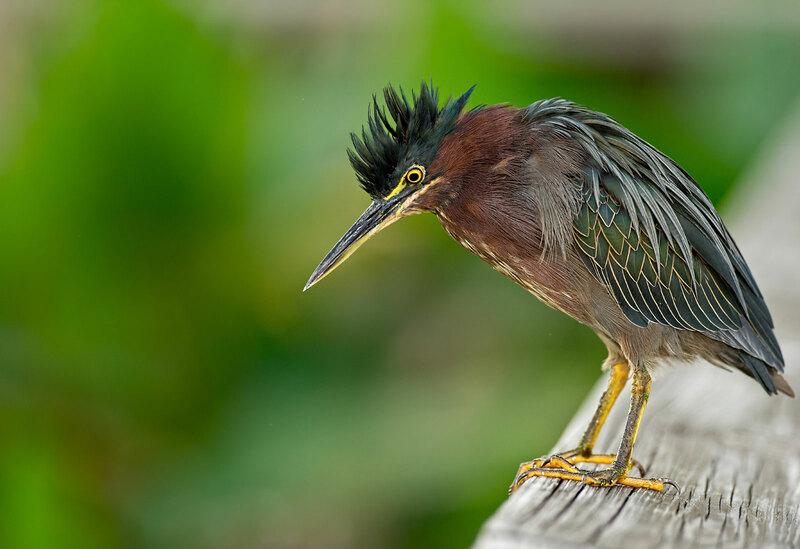 Along with that crazy hairdo, this bird is determined to leave an impression. You’ll find this sassy flyer diving headlong into bodies of water for her next meal, or burrowed near the water’s edge with her hatchlings. Careful where you step! Kids aren’t the only ones who enjoy playing in the mud. When the Black Phoebe gets ready to settle down and have her chicks, her mate shows her around to potential nesting spots, then she carefully collects mud to build a cup-shaped nest in a covered nook or overhang, protected from the elements. With her house in order, she’s free to hunt for quick insects and minnows to feed her new babies. You’ll always find these soot-colored songbirds near water, be it an ocean, lake, stream or puddle. Can’t make it to Rio this summer for the Olympics? Don’t worry; the Downy Woodpecker’s acrobatic tricks will keep you entertained as they spin perilously from thin branch to thin branch. For beginner bird-watchers, the Downy Woodpecker is an easy friend to spot. With its loud tree drumming habits, outstanding black and white checkered wings, and little red hat, this grub-eater is hard to miss. The inspiration for the ever-popular v-neck t-shirt had to be the Western Meadowlark with its distinctive v-shaped black band on its bright yellow chest. There’s no doubt that designers of this trend were influenced by the Western Meadowlark’s fashion-forward attitude, coupled with its fabulous color scheme and speckled wing feathers. Often reclusive, this stout songbird prefers to hide in grassy fields and agricultural areas, like in Hollister and San Juan Bautista. When we think of cavities, we often imagine unpleasant trips to the dentist and the sound of a whirring metal drill, but for the Mountain Bluebird, a different kind of cavity means new hatchlings and fond memories. This bright cerulean species nests in the cavities of hollowed-out trees or bird houses, safe from hazardous weather and hunting predators. You’ll recognize a Mountain Bluebird through your binoculars with their light blue and grey-speckled chests and dark blue wings. What do Dana Carvey from Saturday Night Live and the Lesser Nighthawk have in common? They are both Masters of Disguise. But while Carvey used his talent to impersonate famous people, the Lesser Nighthawk uses its camouflage skills to hide from predators by blending into the rocky desert floor. And watch where you step – when the Nighthawk lays its speckled eggs on the ground, they also blend right into the dusty landscape. What looks like a songbird, but acts like a duck? This isn’t a riddle, it’s the American Dipper. When this chubby, gray songbird gets hungry, it goes for a dip in the nearest swiftly-flowing stream, diving underwater for its prey or bobbing along on the water like traditional aquatic birds. And the similarities don’t end there. Once per year, the American Dipper molts its wing and tail feathers, just like ducks do. So next time you walk by a fresh stream, keep an eye out for this peculiar avian pal. You may first think of ravens at the mention of blackbirds, but the lesser-known Brewer’s Blackbird has ravens beat in the beauty department. In full sun, these shiny midnight-black birds shimmer with iridescent blue and green wings. Paired with their yellow, unblinking eyes, their presence can be mesmerizing. In San Benito County, these insect-eaters are a farmer’s best friend, snatching up the bugs that would otherwise harm valuable crops.